How do you design a modern visitor centre to one of the most important ancient monuments in Denmark? Arkitema found the answer by looking at the site! 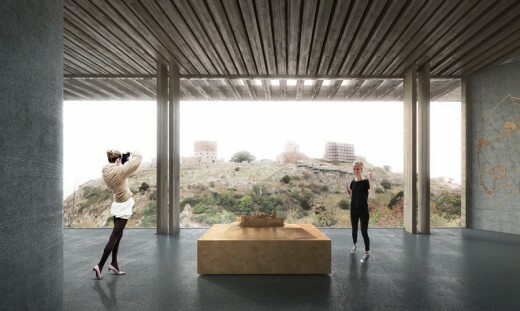 The winning proposal is a building that shows deep respect for the ancient monument and for the location. A discreet visitor centre of high architectural quality will be established. In a team with engineering firm, Buro Happold, and professor, Christopher Harlang, Arkitema have just been appointed as winners of the competition. 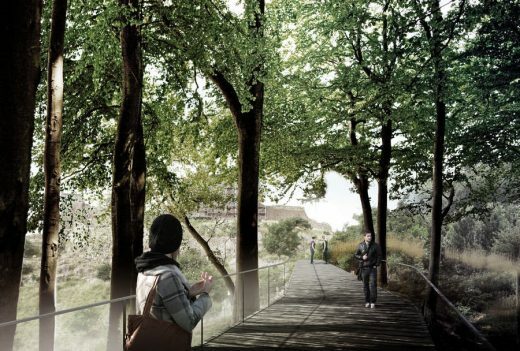 The new visitor centre will cost 45 million DKK. 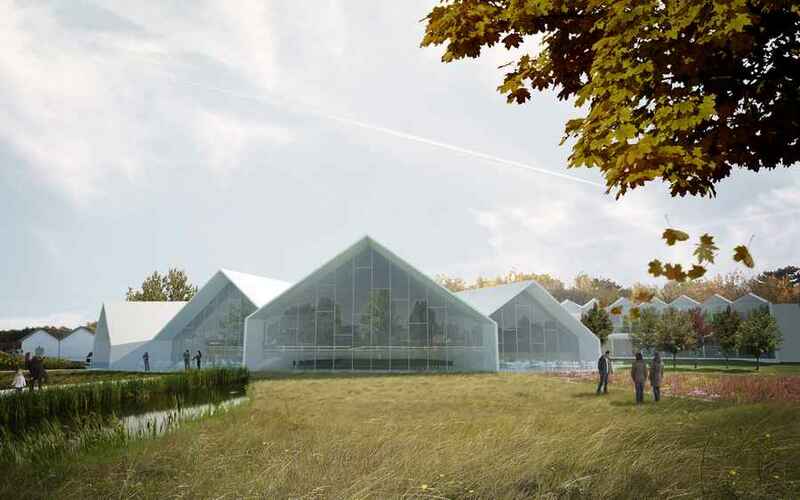 It includes an exhibition, a café and educational rooms and will serve approximately 500,000 annual visitors. 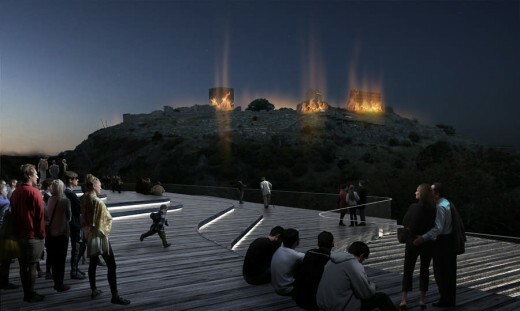 A total of 53 architectural firms wanted to be in the architectural competition, six teams were then picked out and Arkitema is now elected the eventual winner. 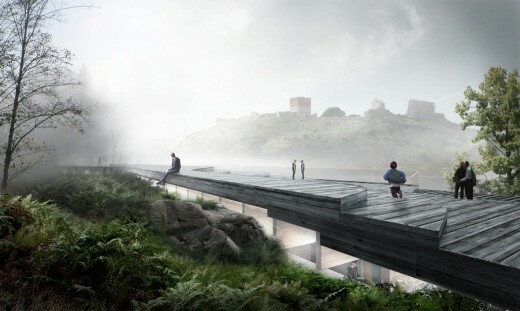 “Our proposal subordinates to the nature and allows Hammershus to be the main attraction. At the same time we exploit the location to create full focus on Hammershus from the visitor centre. 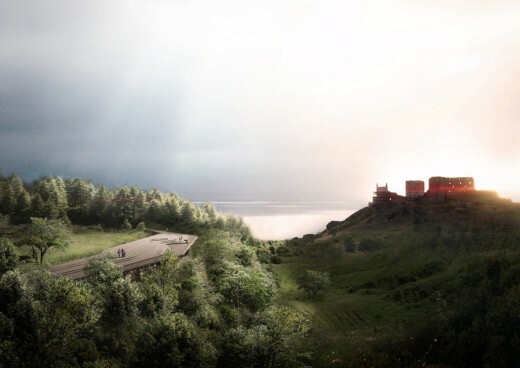 From the ruin the new visitor centre will appear as a contribution to the landscape – an integrated part of nature. 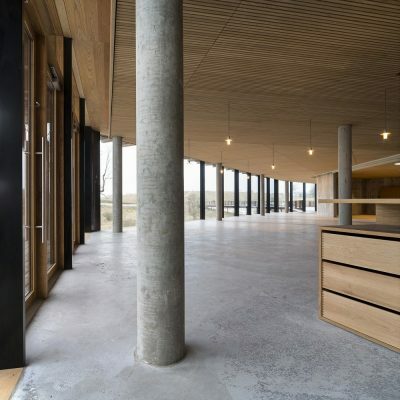 A worthy addition,” says partner and architect at Arkitema, Poul Schülein. 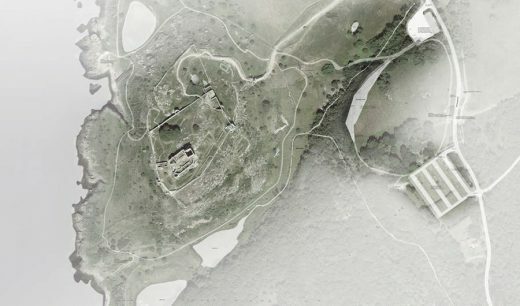 More specifically the roof of the building is incorporated in the terrain, where it continues the public footpaths in the area. In that way it establishes a scenic platform with a stunning view to the ruin. 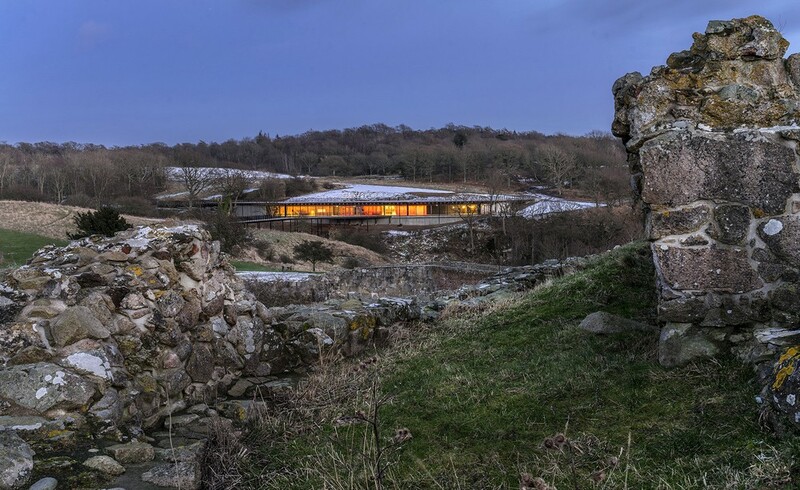 The roof establish a public space, which gives something back to the place by being available to the visitors both summer and winter, day and night – a welcoming cultural imprint in the landscape. “We have designed a simple house with an elongated shape that is carefully sited in the terrain, and where the roof is an important factor. At the same time the materials used in the house are taken from the surroundings – simple wooden materials and concrete. The concrete consists of rock-granulate from the cliff that we dig out to make room for the building. We have designed a building that in its form and materials upholds and stages its historical context,” Poul Schülein concludes. 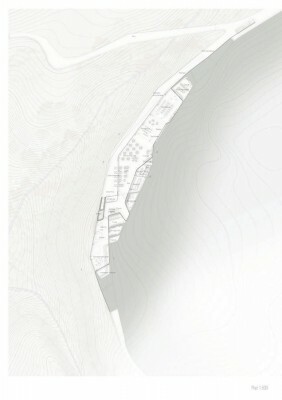 Towards the cliff, the practical functions in the house are placed and to the opposite side the house opens up with large windows facing the stunning view of Hammershus, the landscape and the sea. The other teams in the competition were Vandkunsten, KHR, Julien De Smedt, Cubo and Entasis. 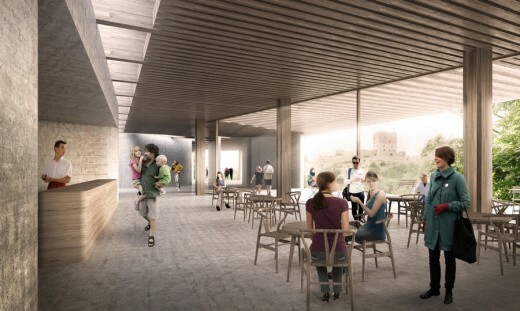 The visitor centre will be opened in the spring of 2016.